It's Wednesday!!! 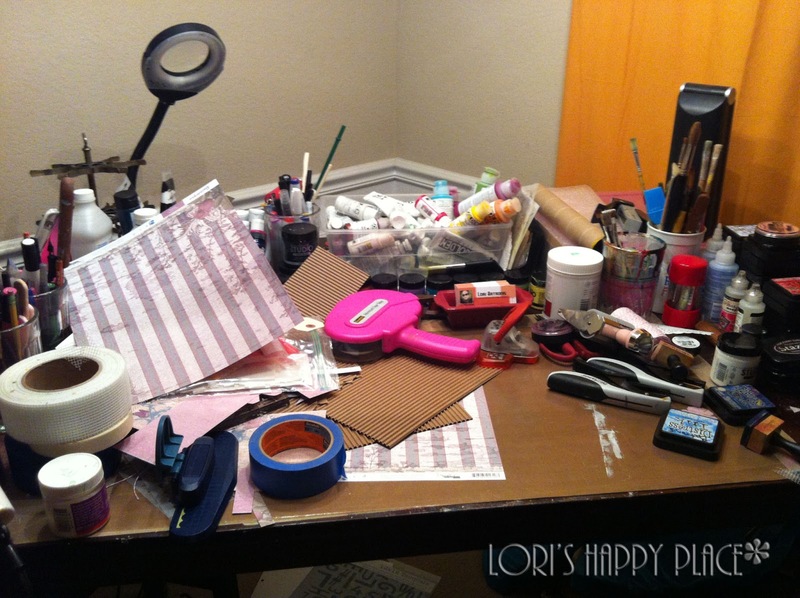 So What's on your workdesk? 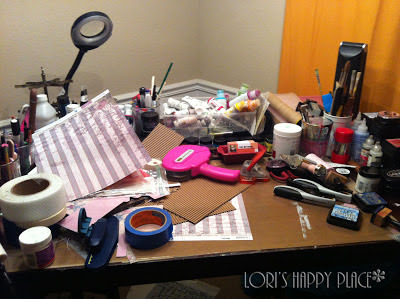 Mine is a mess again!! This week, I have been working on Design Team Stuff for Genuinely Jane Studios, finished up some samples to apply for a Guest Design Team Spot with Donna Salazar, and painted the painting below this post. Unfortunately, I can not share any of it except the painting below. I promise I will as soon as I can. On my desk is a complete mess. Similar to last weeks desk, but different. LOL. I did manage to finally design and order business cards and you can see those in the middle of the desk. Very excited about them. They turned out great. I like how your business cards turned out. I can't wait to see the projects you've been working on. Sounds like you have been having lots of fun i look forward to seeing what you have been upto. your cards did turn out well, they can be so useful. 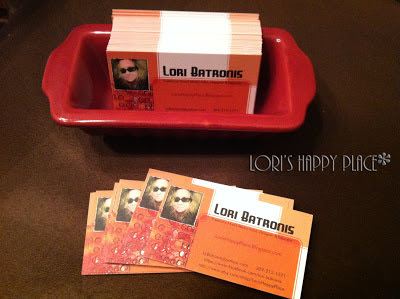 Your business cards look great! And your desk, it's just waiting for you!!! My name is Lori Batronis. I am a self taught Mixed Media Artist. I am loving life and using this blog to share myself, my designs, and the ins and outs of my God given days. I pray that my art blesses you and inspires you.